The existence of smartphones provides new way of accessing communication. It is because these innovative gadgets have built in applications that make chatting a lot easier. Nowadays, there are many social networking sites and instant messengers available for Smartphones. Instant messaging is becoming more popular over the years as it is the best way of chatting online. Having instant messaging features in your Smartphone is a big help as you can communicate with your family and friends in a fast and convenient manner. Android smart phone features a mobile operating system that is incomparable with other brands. This brand of smart phone offers a lot of different applications that you can find in the official app store of Android including the instant messenger apps. Due to the enormous selection of chat apps for Android smart phone, users find difficulty in choosing the best one. On the other hand, installing as many messengers can cause problems hanging and it will consume much space in the card memory and phone memory. Nevertheless, Android offers multi-messenger software so that users can enjoy instant messaging over the internet and at the same all the IM accounts will run through a single application. 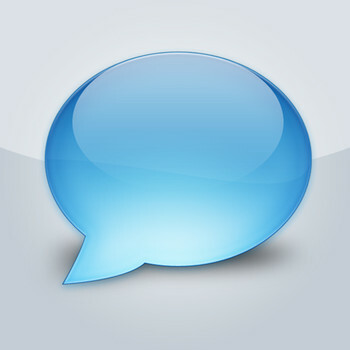 This is one of the Android’s chat applications that are popular among Smartphone users. It also supports different social networking sites such as Google Talk, Facebook, MSN, Yahoo, AIM and many others. It has an outstanding user interface but is quite difficult to use than IMO. Aside from chatting, IM+ also allows sending file attachments such as audio and image files. The user can use the push mode to remain signed in while the application has been closed. The Google Talk is not only the best messaging client for PC but also for smart phones. That is why Android includes this chat app in their Smartphone so that users can chat with friends without the need of downloading another app. This chat app allows talking with friends’ right on the screen of the Android Smartphone while on the go. For Android smart phone users who love video chatting, Skype is the best choice. This application allows text, voice and video chatting with friends’ right on your Smartphone. Likewise, Skype allows free phone calls from one user to another. If you will check the messengers list you will notice that Yahoo Messenger on the top. This chat app is not just a messenger as it allows voice, text and video chatting as well. You can also find new friends once you join in chat rooms. Aside from the chat apps mentioned above, there are other options that you can choose. All you have to do is to try each chat app so that you can determine which one will work best for you. I am SamithJhona content writer and a Professional Blogger. I am certified withLX0-101 Testwhich is very popular these days and have a great scope in the field of IT Certification. I always like to take certification Tests and now I have planned to pass SG0-001 Test. These kinds of Tests could secure your future as well as your job.